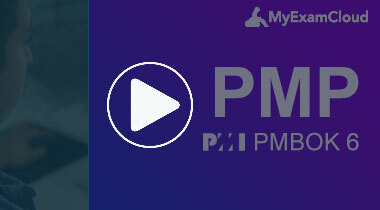 PMP 6th edition Video Training, MyExamCloud PMP Video Course. This training course is developed with presentation slides for each PMBOK 6 topics. This Video Tutorials can be taken online from your Laptop, Tablet or Smart Phones. Mikesh Shah, the brains behind this course, is PMP-Certified by Project Management Institute (PMI) US. He has enjoyed a successful career at Oracle as a project management consultant and executive spanning to a little more than a decade. He has managed projects of different scales for reputable institutions such as IMF, Bank of Montreal, Citibank, just to mention but a few. This course is not his first contribution to the world of academia. Backed by years of experience as an accomplished investment banker, Mikesh Shah also teaches at least 4 courses on Udemy. For the PMP Course on MyExamCloud, Mikesh Shah offers unlimited author support, and users can get in touch with him with any questions. A timely and satisfactory response is always guaranteed. Something else that is a guarantee with the PMP 6 course is a 100% test pass. The well –structured course offers users all the tools necessary to fully prepare for the certification exam, as dictated by the PMBOK 6 syllabus. What's the focus of this PMP Training course? This PMP training videos covers all major exam objectives with nice presentation for easy understanding. The trainer voice can be choosen according to your local voice. Yes, it is lifetime access once you purchased full version. The PMP video course can be taken till the product get reached EOL (End Of Life). Mr. Mikesh Shah is PMP certified by PMI US. He has worked as a project manager and consultant at Oracle for 11 years. He has managed projects at multiple institutions such as the IMF, Citibank, Wells Fargo, Bank of Montreal and more. He is currently managing the website https://www.investopediapro.com, trading courses on Udemy, digital marketing consulting and IOS apps. Train your employees with exclusive batches and offers and track your employee's progress with our weekly progress report. Learn: What is new in the 6th Edition?